Our accelerated services to meet the requirements of modernized organizations have enabled to personalize every service. ASP to ASP.Net Migration is one such service. ASP.NET, part of the .NET framework is a web application used to build dynamic web pages. 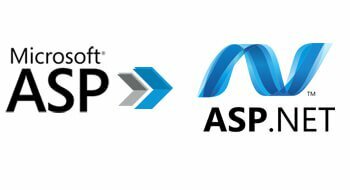 We examine whether the ASP object model is updated with more structured and object oriented to run in ASP.NET, where the ASP pages are coded with VB script. We efficiently regulate ASP and ASP.NET to independently run on an Internet Information Services (IIS) server with no interference. File extension with .aspx to be processed in ASP.NET and files with extension .asp will be processed in current ASP engine. Our key focus is to ensure that the performance issue associated with calls to unmanaged code and late binding will run faster when migrated to ASP.NET. ASP.NET migration assistant is designed by Microsoft which helps to convert ASP pages to ASP.NET. Though the migration process is not completely automatic, we assist the project in every step. The migration assistant will generate project files with .aspx extension by checking the original reference files. The conversion report file has to be reviewed to avoid any oversight.